A WHILE back we wrote about Aldi's Le Pave cheese, as people were claiming that it was better that the oozy high end D'Affinois cheese and cost a fraction of the price. As soon as word got out about this bargain buy, it became almost impossible to find it on shelves. 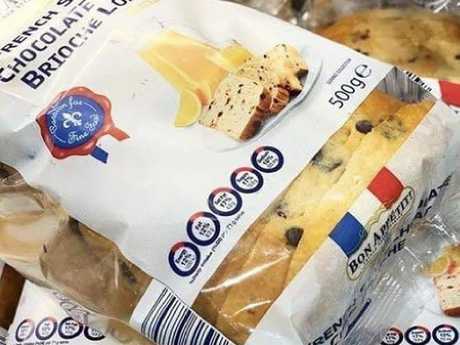 It just keeps selling out, causing pain and frustration for fromage fans all over the country. But it turns out that this particular cheese isn't the only Aldi product that people go gaga for. These are the items that have been identified as "cult fan favourites" by the people who monitor from German supermarket's social media. We put them to the test to see what all the fuss is about. There are a few standouts that are definitely worthy of your attention. Boy oh boy didn't the coconut water craze set the tone for everything coconut in 2018? People went loco for coco. See what I did there? 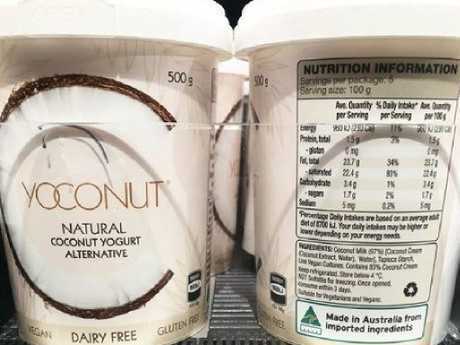 Aldi followed the trend with its coconut yoghurt which *sounds* delicious but if you're used to dairy yoghurt, this might shock your tastebuds into standing up and saying "what kind of dirty f*cking trick was that?" 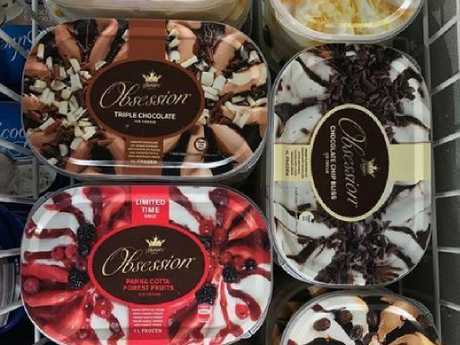 I can see that if you had to live a dairy-free lifestyle this would be a sensational alternative, but there's just something slightly weird about the aftertaste if you're used to dairy. This is utterly delicious. It's hard to believe that life existed before we knew about this frozen coconut dessert. 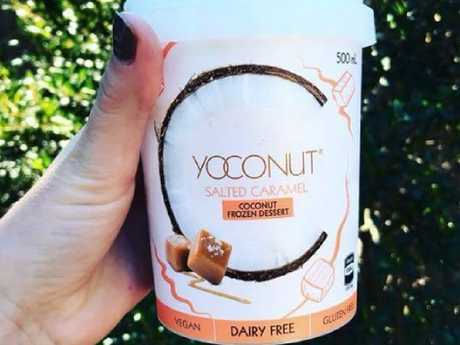 The dairy free "nice cream" (which is made from coconut cream) comes in two flavours - salted caramel and vanilla. We tried the vanilla one and it is outrageously good - creamy, light, fluffy, like a coconut-y tropical dream in your mouth. While the Yoconut yoghurt has a slightly weird aftertaste (as mentioned above) that is nowhere to be seen in the frozen dessert. It's also vegan, just in case you're that way inclined. You need this in your summer. Five stars. In case you aren't familiar with these, they are traditional European spiced cookies, sprinkled with almonds. And they are bloody marvellous. Sure, it's not a Tim Tam, but it's the respectable little biscuit you can have with a cup of tea when you're feeling a little saucy. If you really want to show your body who's boss you can slather butter between two and make a decadent biscuit sandwich. 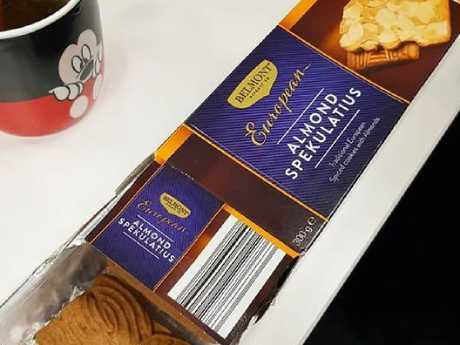 Side note: if you ever see the Almond Spekulatius Cookie Butter (which sometimes turns up as part of those zany Euro food specials Aldi has), buy as much of it as you can carry. Whoever decided to make a spread out of cookies deserves a firm kiss on the mouth. These are akin to falafels that you warm for a few minutes before serving. 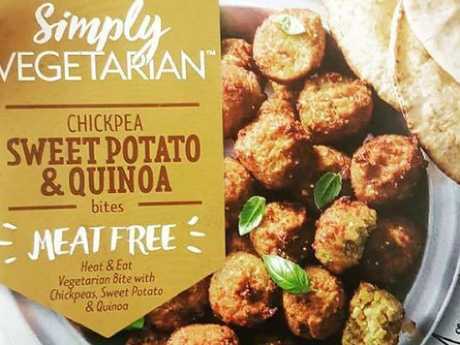 While it's very charming that they are vegan and healthy, it's hard to ignore the fact that they taste like bland dry pellets of blah. I threw one off the balcony to express my disappointment to my fellow diners. Even a generous slathering of hummus wasn't saving this hockey puck of an appetiser. 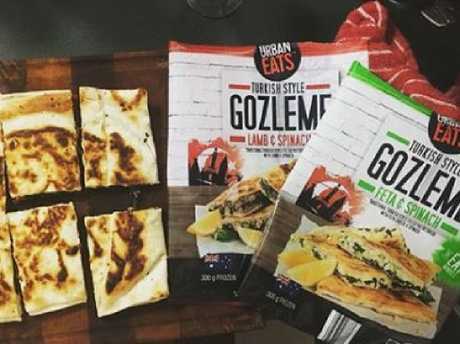 Aldi suggests that you "pair with flat bread, add to your spaghetti, or simply heat and enjoy on their own." I suggest that you flip them the bird as you walk past them in the refrigerated aisle. This is magnificent. Something of a revelation. You'll find it in the freezer section and you simply throw it in a hot oiled pan until it's crispy and golden. The light, flaky pastry is filled with salty cheese and spinach. Great to keep in the freezer for those nights you come home late and you're peckish as hell. Tips from fans on social media include cooking in a sandwich press, squeezing a dash of lemon juice over the top and pairing with a dollop of natural yoghurt. I'll admit when I saw that they had put beetroot on a pizza I was a bit sniffy about it. But people do bang on about this pizza on Facebook so I thought I would give them the benefit of the doubt. And I'll be damned if Aldi hasn't created a truly excellent frozen pizza. Possibly the best frozen pizza I've had (and boy did I devour a few in poor-times). 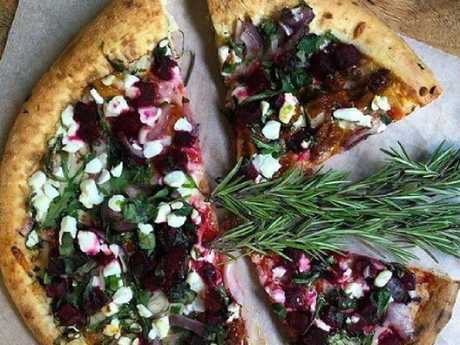 This was a Product of the Year winner in 2017 - the topping combines soft mild beetroot, crumbs of goat's cheese, creamy mozzarella, sweet red onion, a delicate garlic sauce, marinated tomatoes and fresh rocket. It's a seriously good combo and a lovely crispy base. Absolute winner. 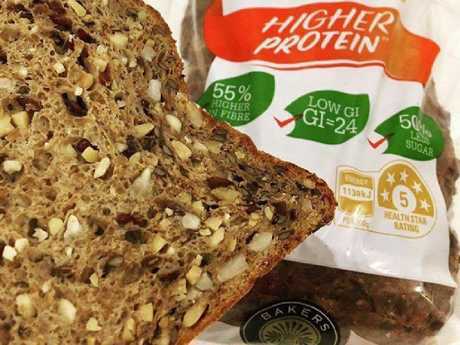 It's the bread that's received rave reviews since its launch, thanks to its high protein content and five-star health rating, making it a favourite among nutritionists. And it actually tastes great. It's loaded with seeds so you can feel smug about the fact that you've come a long way since your days as a white bread bandit. It toasts up really well too. 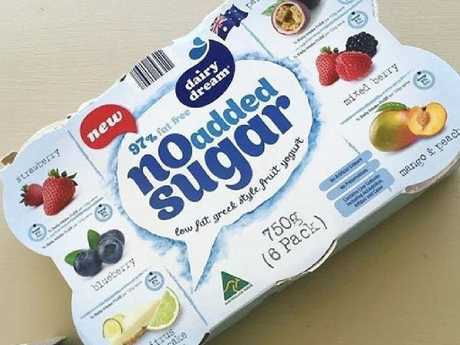 When we saw that this item had "no added sugar" we were super impressed when we tasted it and it didn't taste like nothing. But then we saw that it actually has artificial sweetener in it and the romance faded a little. Aside from that it's still a delightfully creamy yoghurt that comes in six little tubs that are the perfect size for a little sweet treat. Of the six different flavours in the package the citrus cheesecake one is a standout. Definitely worth fighting over. If you are wanting to push the boat out and treat yourself to a no-holds-barred ice cream experience, you've come to the right place. This is off the charts good. The flavours aren't your bougie gourmet varieties … they are more reminiscent of the kind of thing you'd get at the corner milk bar when you were a kid. Think Triple Choc (milk and dark chocolate flavoured ice cream with chocolate flavoured sauce and milk and white chocolate curls); White Chocolate Passionfruit (white chocolate ice cream with a passionfruit sauce, topped with white chocolate curls) and Vanilla Caramel (vanilla and caramel ice cream with a caramel sauce, topped with caramel flavoured candy pieces). This has been a firm favourite with Aldi customers since it was first introduced. People get genuinely cheesed off when they can't find it on shelves. Slather it with a little butter for morning tea, or if you want to step it up a notch, you can use it to make some next-level French toast. It freezes quite well too, so you can keep it on hand for impromptu lazy breakfasts. At just $2.99 a jar this a very good value all-natural peanut butter. 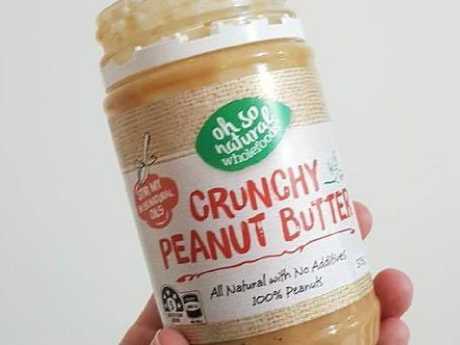 It's made from 100 per cent peanuts and contains no additives. The only trouble is it tastes utterly depressing. I know it's not good for me, but I like my peanut butter to have a bit of a salty edge. Otherwise it just tastes like a paste that glues my mouth up and gives nothing to return. Potentially good for children who you have to keep healthy and who don't know what they are missing out on (ie salt).